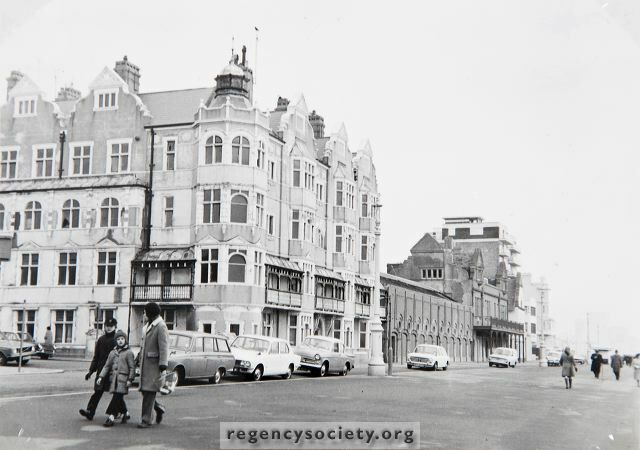 Although these photographs also show the old Hove Baths, the focal point is the block of flats, known as St. Aubyns Mansions. Built about 1900, this consisted of eight very large flats, which went right through from front to rear. The photographs in this and the following one, were taken on 11 February 1973, when the flats were empty and their future uncertain. Three years later the block is still there, redecorated but empty.